Halloween is right around the corner, so I thought I’d get in the mood by reading a collection of spooky stories by Clark Ashton Smith, a writer and poet who’s known for his contributions to the pulp magazine Weird Tales. Smith was a friend of H.P. Lovecraft and Robert E. Howard and an influence on many of the later pulp writers. “The Double Shadow” — A necromancer is being followed by a sinister shadow. “The Devotee of Evil” — An eccentric rich man moves into a haunted house because he wants to study the physics of evil. “A Night in Malnéant” — Feeling guilty about his girlfriend’s suicide, a man can’t find the peace he seeks when he visits a city preparing for a funeral. “The Willow Landscape” — For financial reasons, a man is forced to sell his favorite possession – a painting of a willow landscape. Before the buyer takes it away, the man requests to spend one more evening with his beloved treasure. I knew where this was going from the beginning, but I loved it anyway. “The Maze of the Enchanter” — A man goes to a sorcerer’s house to retrieve the woman he loves. “The Voyage of King Euvoran” — King Euvoran’s famous crown has been carried off by a large exotic bird. To maintain his authority (and to cover his bald spot) the King needs to get it back. This story was quite humorous. With no other light than that of the four diminutive moons of Xiccarph, each in a different phase but all decrescent, Tiglari had crossed the bottomless swamp of Soorm, wherein no reptile dwelt and no dragon descended — but where the pitch-black ooze was alive with continual heavings and writhings. 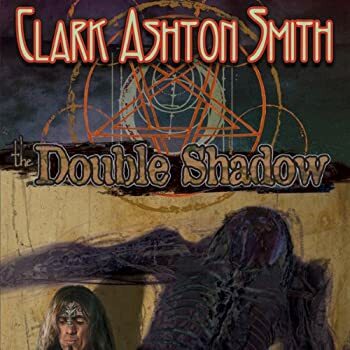 If you’re in the mood for some spooky gothic tales, Clark Ashton Smith’s The Double Shadow may be just the right thing. The Double Shadow was my first exposure to Smith’s stories, but I have now made it a personal goal to read all of them. 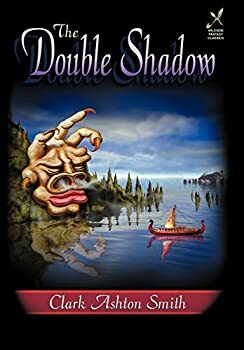 The Double Shadow — (1933) Publisher: A collection of six stories ranging from contemporary horror to weird alternate-world fantasy, this book remains a fascinating introduction and Clark Ashton Smith The Double Shadowshowcase to Smith’s decadently jeweled prose.